Physical Education is a unique study as it has the potential to impact on the physical, social, emotional and mental health of students. It is a subject that promotes the potential for lifelong participation in physical activity through the development of movement skills and confidence. Physical Education focuses on the important role that physical activity, sport and recreation play in the lives of all Australians by providing opportunities for challenge, personal growth, enjoyment and fitness. It encourages involvement in a manner that reflects awareness that everyone has the right to participate in a healthy and active lifestyle. It develops students’ confidence in using movement skills and strategies to increase their motivation to become active, as well as improve their performance and maintain a level of fitness that allows them to participate in physical activity without undue fatigue. Students will explore the meaning of fitness and examine what fitness means to various groups within society. They also develop an understanding of the physical, mental, social and emotional benefits of participation in regular physical activity, and analyse factors which influence such participation. They consider the relationship between physical activity, fitness and health, and explore ways to measure their own fitness and physical activity levels. Students’ involvement in physical activity can take many forms, ranging from individual, non-competitive pursuits through to participation in competitive team games. The main focus of Physical Education is the progressive development of the key fundamental motor skills, for example throwing, catching, kicking and striking. Students’ progress from the development of these basic motor skills to the performance of more complex movement patterns that form parts of team games. These skills are then gradually combined with strategic thinking and tactical knowledge to improve individual and team performance. In Health Education students are provided with knowledge and skills that enable them to develop and maintain their physical, mental, social and emotional health across various stages of their lifespan. This subject focuses on safety and the identification of strategies to minimise harm associated with particular situations or behaviors. Students examine the promotion of the health of individuals and the community through the use of specific strategies and the provision of health resources, services and products. Through the provision of health knowledge, students develop an understanding of the importance of personal and community actions in promoting health. They also develop an understanding about the factors that promote and protect the physical, social, mental and emotional health of individuals, families and communities. Students investigate issues ranging from individual lifestyle choices to the provision of health services by both government and non-government bodies. Health education also examines the role of food in meeting dietary needs and the factors that influence food choice. Students’ progress from learning about the importance of eating a variety of foods to understanding the role of a healthy diet in the prevention of disease. Through interaction with the natural world, Outdoor Education aims to develop an understanding of our relationships with the environment, others and ourselves. The course focuses on outdoor activities in a range of environments including bushwalking, sailing, caving, climbing and orienteering. It provides students with an opportunity to develop essential life skills and physical activity skills, and an opportunity to develop a comprehensive understanding of the environment and develop a positive relationship with nature. Marine and aquatic recreation and ecosystems focus. 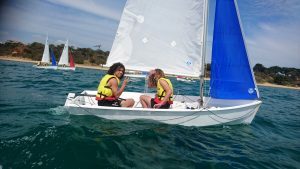 This elective aims to develop within each student awareness and appreciation of Victorian Marine and Aquatic ecosystems and participate safely in a variety of recreational pursuits. 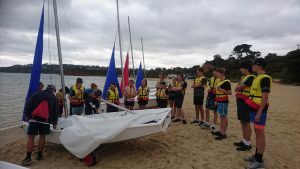 Education in the outdoors will be selected from: boating, sailing, snorkelling, beach walks, overnight coastal hike, canoeing, kayaking, surfing or stand up paddle boarding. Education about the outdoors will consist of a research assignment on Victoria’s Marine National Parks and Reserves. Minor projects will focus on threats to Marine environments and endangered species in our oceans. The latest news articles of marine rescues and an extreme adventure case study will be explored. Students will complete class work on climate change and management strategies to protect marine environment. Education for the outdoors will include class work on understanding ocean conditions such as swells, tides, rips and currents, potential risks associated with aquatic activities and water rescues. Urban recreation and modified natural environments focus. This elective aims to develop within each student an awareness and appreciation of local outdoor environments and participate safely in a variety of recreational pursuits. Education in the outdoors will be selected from: mountain bike riding, snow exploration, indoor rock climbing, city navigation, camping, bush walking, horse riding, tree top acrobatics, canoeing or kayaking. Education about the outdoors will consist of a research assignment on The Dandenong Ranges National Park. Minor projects will focus on manmade natural environments, threats to remaining natural environments and feral animals. Students will complete class work on extreme urban recreation, local interest groups, World Heritage and human influences on the Yarra River. Education for the outdoors will include class work on recreational skills and safety, urban first aid scenarios and being well prepared and self-reliant for a day in the urban outdoors. Coastal recreation and ecosystems focus. This elective aims to develop within each student an awareness and appreciation of Victorian natural Coastal environments and participate safely in a variety of recreational pursuits. Education in the outdoors will be selected from: snorkelling, beach walks, overnight coastal hike, canoeing, kayaking, surfing, sailing or stand up paddle boarding. Education about the outdoors will consist of a research assignment on Point Nepean National Park. Minor projects will focus on threats to natural coastal environments and endangered species. An extreme adventure case study will be explored and students will complete class work on technological advancements driving coastal recreation. Education for the outdoors will include class work on understanding weather maps, beach safety, first aid treatments and risk management of coastal recreational activities. Alpine and Forest recreation and ecosystems focus. 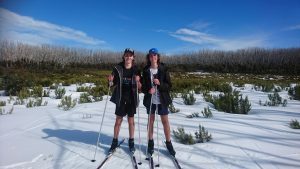 This elective aims to develop within each student an awareness and appreciation of Victorian Forest and Alpine environments and participate safely in a variety of recreational pursuits. Education in the outdoors will be selected from: snow shoeing, cross country skiing, camping, bush walking, horse riding, tree top acrobatics, canoeing or kayaking. Education about the outdoors will consist of a research assignment on Yarra Ranges National Park. Minor projects will focus on threats to Wet Forest environments and endangered species. The latest news articles of Victorian Alps snow rescues and an extreme adventure case study will be explored. 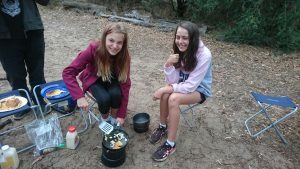 Students will complete class work on management strategies to keep Victorian forests natural and technological advancements of camping and hiking equipment. Education for the outdoors will include class work on understanding Alpine weather conditions, minimal impact forest recreation and the potential risks associated with these activities.